These handsome towels are hand stamped with antique letterpress printing blocks. The towels are 100% cotton and have a hook for hanging. Also machine washable. 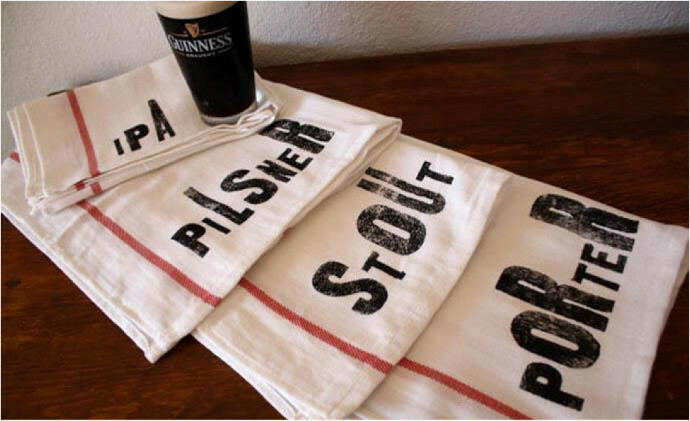 Get four 18x24-inch towels that read “IPA,” Stout,” “Pilsner,” and “Porter.” Available on Etsy.